Greetings Wizards. We’re back from Pax and have been working on adding the final content game for the September 27th, launch on Steam! 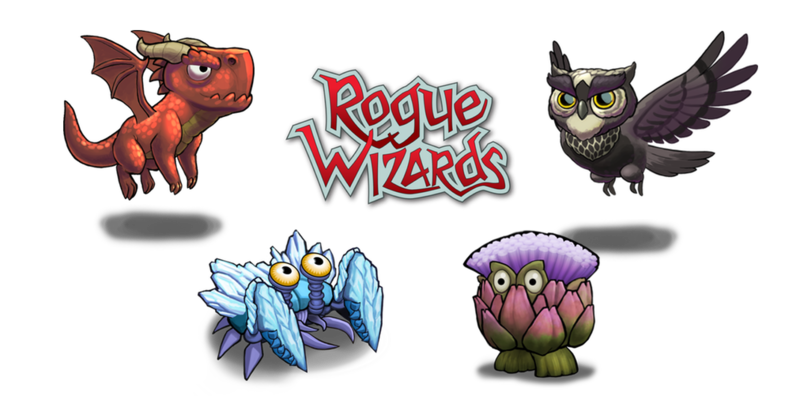 If you’re not on our mailing list, sign up for it on the RogueWizards.com website. Pax was just simply amazing. Not only did we get to meet a whole bunch of new gamers that loved the game, we were able to meet a bunch of the original Kickstarter backers for the game as well. We had great placement in the Pax Rising area, a curated selection of 12 games picked by the Pax organizers themselves! We also got in the 4 pets into the game, each with a different ability. We wanted to make more of these, so we’ll look into that after launch. And Phil has been busy cranking out the final item artwork. 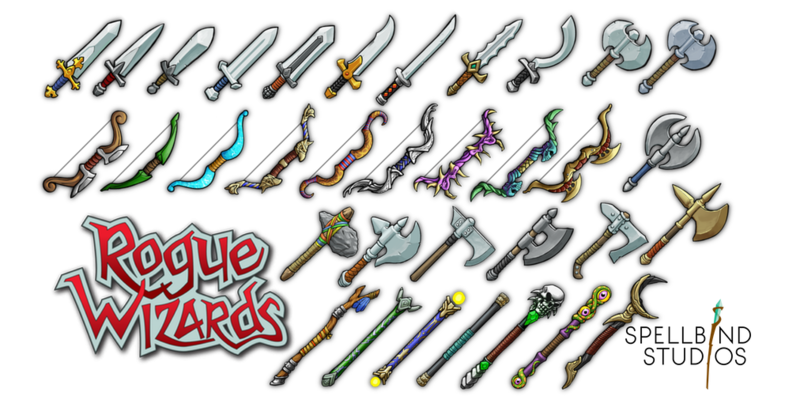 He’s been able to make a crazy amount of variations for a few of the weapon types so far … the rest will be ready in about a week! Below are all the changes from August. Talk about them in our Steam forums. Summoned Mystics now only heal 10% of health instead of 40%, because champion Mystics that summoned other Mystics is too difficult of a combination to fight when they all heal each other quickly. Mystics that were *not* summoned heal values remain the same at 40%. Adjusted when a new dungeon floor decides to generate a new set of monsters or use the same monsters encountered on the previous floor. Basically small floor sequences use the same monsters for consistency for a floor or two, and then a new enemy set is generated on the next floor where it felt good, this also slows the encounter of new monsters which is good too. TooltipManager now has just one field for “enhanced value” instead of different ones for rank, attack, defense, etc. Moved proc execution into Skill after combat occurs, even if the target dies or there was no target … we still try to proc. This lets us swing at nothing and have a chance that a fire ring (or other) proc will execute. Similarly, if the target dies we can still proc at their empty location which feels good too. 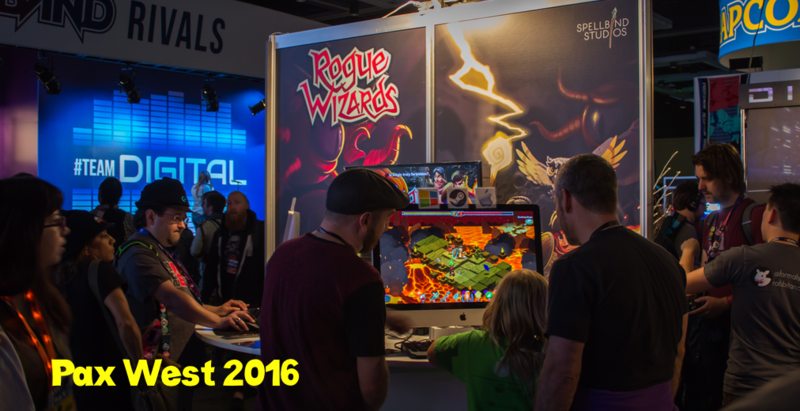 September 9, 2016 in Rogue Wizards.